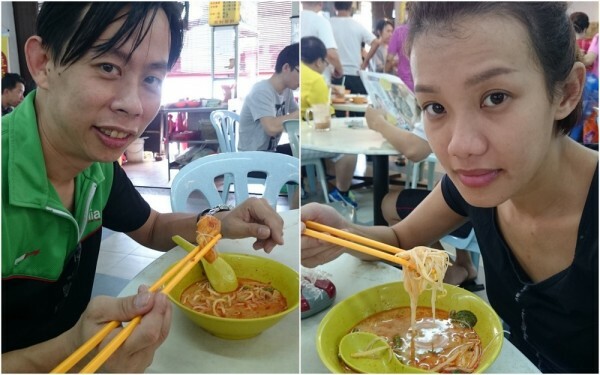 I’m a fan of curry mee, whatever type of curry mee, I’ll try them so long as my taste buds agree. I’ve heard about the Nyonya Curry Mee at USJ for quite sometime, and finally we managed to try it last weekends when we found ourselves at USJ for an appointment to check out some invisible grille option for our new home. 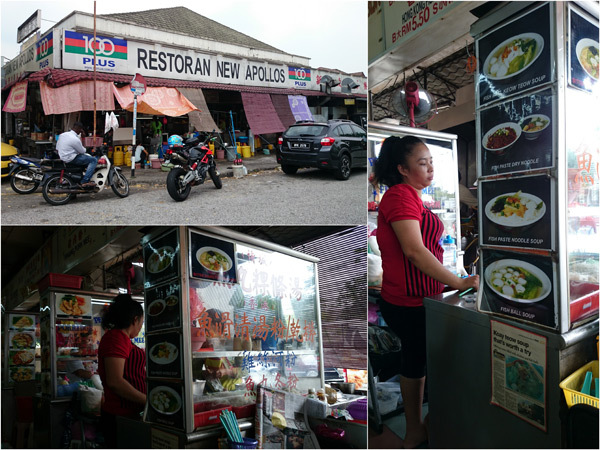 Located at USJ 2 kopitiam just right next to the Shell petrol station across from USJ Summit Mall, the stall is called Fushou Lou Nyona Curry Mee, or literally the “bearded man”. 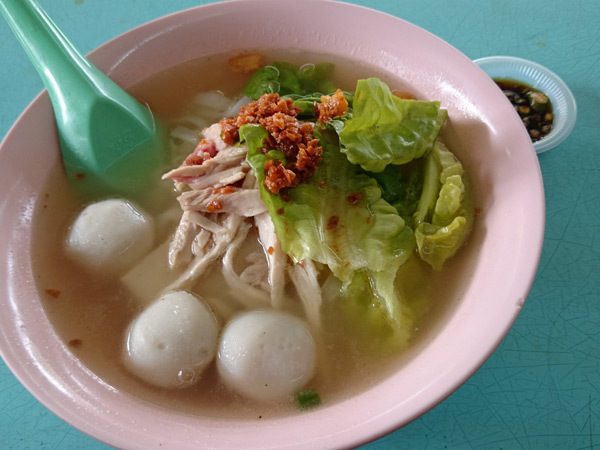 The stall offers Nyonya curry mee, dried curry mee, and seafood curry mee. There’s also the option to add roast pork, curry chicken, and other ingredients into the mix. 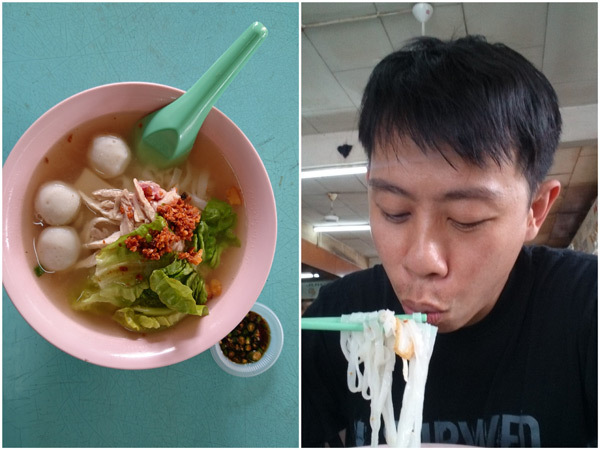 For our virgin experience, I ordered Nyonya curry mee with roast pork (RM 8). It was quite beautifully presented. It came with noodle/meehun, some long beans, bean sprouts, tofu pok, mint, cuttle fish, and of course, those yummy sambal in addition to roast pork. Compared to KL or Penang curry mee, this has a more sourish taste, slightly more refreshing, and absolutely delicious. 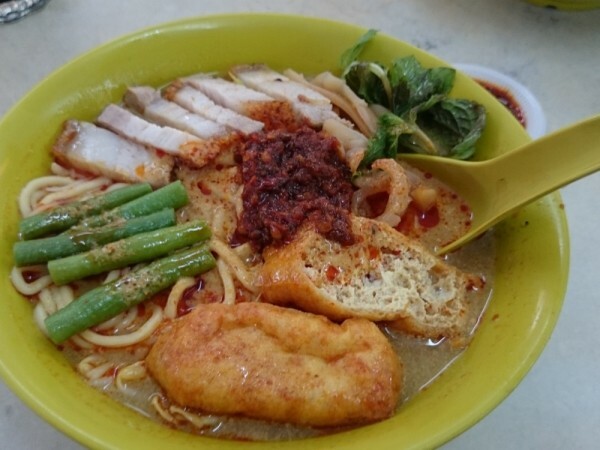 If you have an affinity to curry mee or laksa, this is definitely a stall to check out. The normal version starts at RM 6, and I’m going to try their seafood noodle when I have a chance. 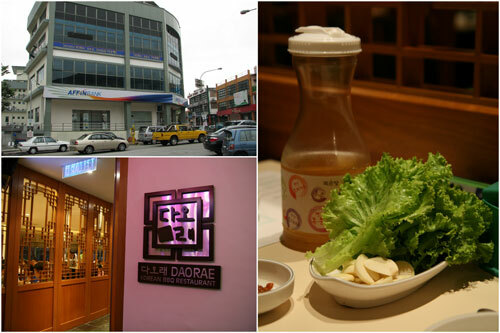 Daorae Korean BBQ Restaurant is probably no stranger to most who loves Korean food. 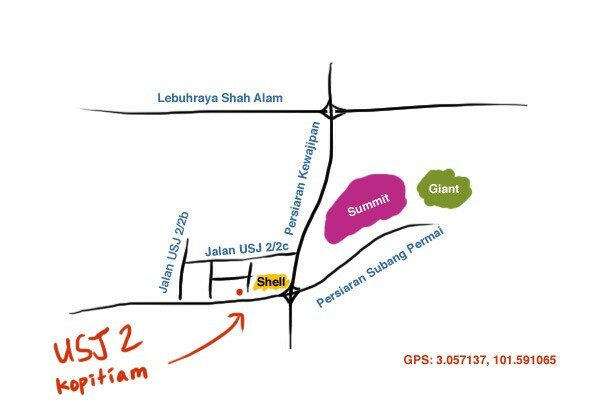 My first visit to this chain was the USJ Taipan main branch at least 4-5 years ago. I went there again last week when the worms in my gut was starving for some Galbi. 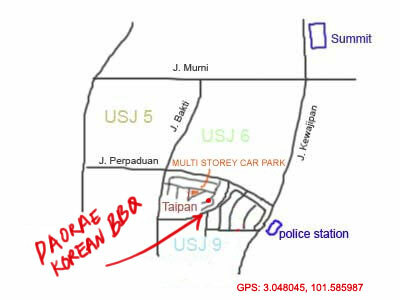 I’m not quite sure if this is the very first branch of Daorae, they have branches now at Hartamas, Penang Bayan Point, Kota Damansara, Kepong, Puchong Bandar Puteri, and another new one in PJ (the NZX branch has since closed). When we were there, there was an friendly old Korean guy who looked very much like the owner, and he explained that “Daorae” means many people, which translate to good business. banchan – kimchi, salad, chives, cockles and more! 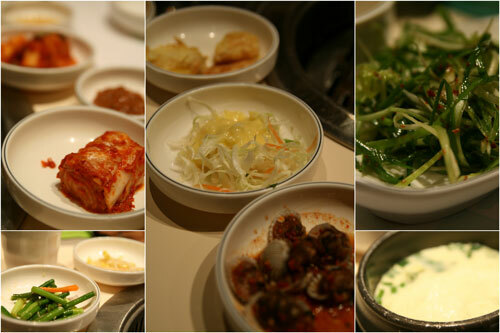 The one thing I always love about korean food is all the banchan (small dishes). Other than the standard kimchi, you almost always get something different on each visit. On this trip there were cockles, steamed egg in hot pot, salad, chives, fish cake, and more. I think we had some 10 different varieties. You can usually ask for refill too. For the two of us, I ordered a portion of galbi (marinated beef short ribs) and 3 layer pork for the grill. As usual, the expertly trained servers did the whole grilling right in front of us. Galbi’s best served with the ssamjang sauce (fermented bean paste & pepper) and wrapped in fresh lettuce. I like to add a piece of grilled garlic too. The samgyeopsal (three layer pork) was lovely too. 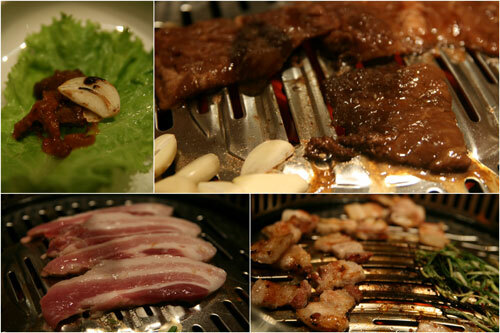 Grilled and usually goes either with the same ssamjang or gireumjang sauce (sesame oil and salt). Nothing like some pork to fill the stomach. Other than the two grilled meat and those free banchan, I also ordered a portion of kimchi jiggae – a stew with kimchi, tofu, pork, scallion, onion and such. This is typically served with a bowl of fragrant Korean rice, which I like. Time to take a little break from writing about Bangkok and lets talk about something closer to home for a bit. After all, this site has the reputation of being a food blog of sort, no? 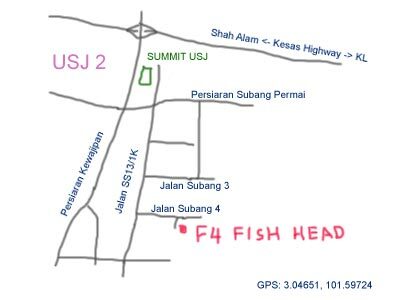 Well, this dining expedition happened late last year when Kerol decided to lead myself and Horng to this little hideout that is F4 Fish Head at the relatively unfashionable part of USJ, within the light industrial area at the back of Summit mall, otherwise known as the traffic death zone during rush hour. 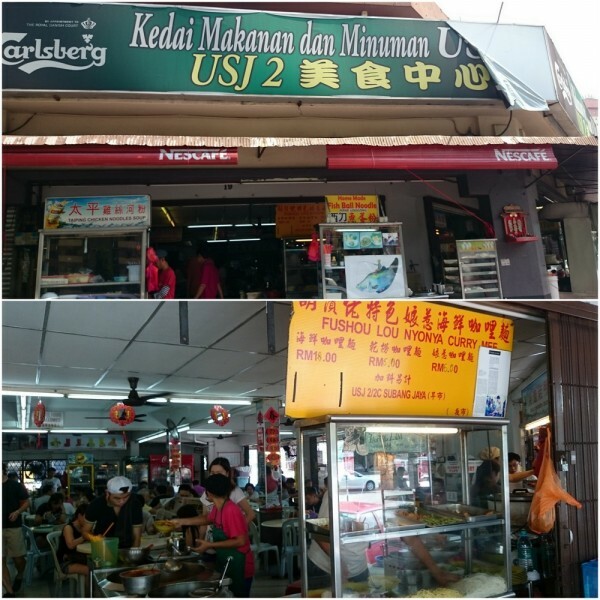 The restaurant occupies a small industrial lot, which is rather big by kopitiam standard. By the time we got there at around 6:30, it was already 80% full despite located in a rather hidden area. 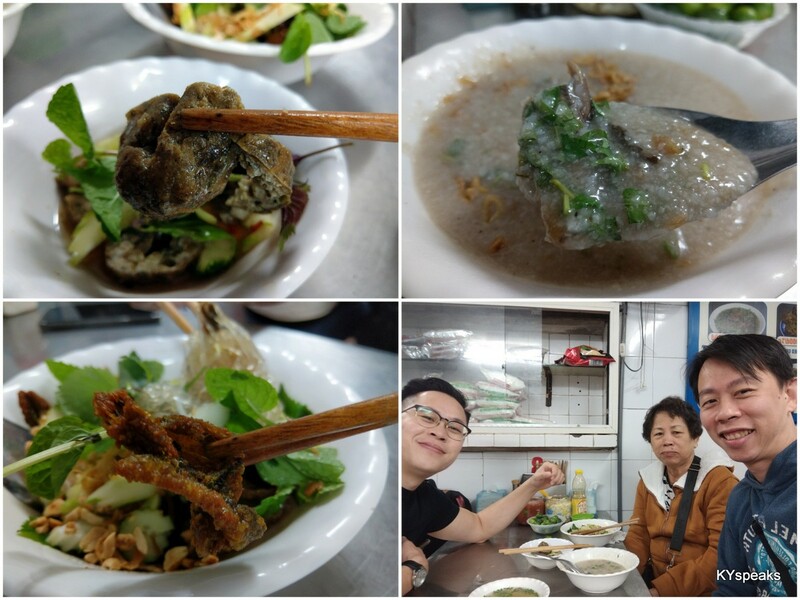 We sat down and ordered a steamed fish head with ginger and onion, a plate of potato leaves with balacan, and a clay pot port belly with salted fish. 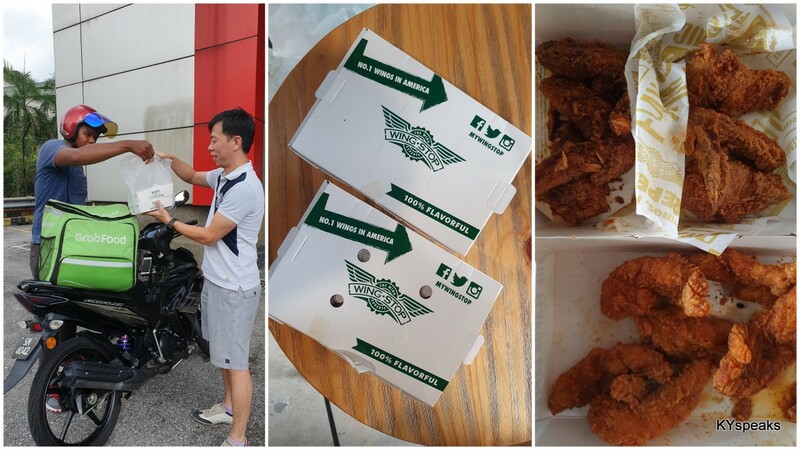 Food did take a while to arrive but it wasn’t unacceptably long. 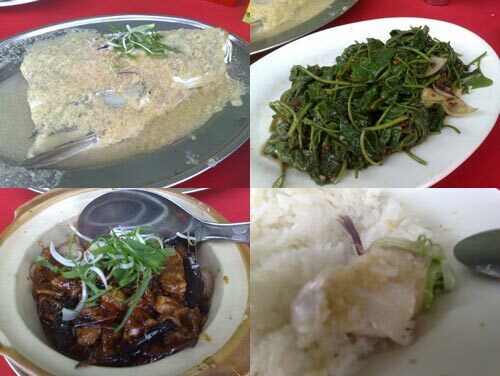 The steamed fish head with ginger and garlic(not exactly sure the type of fish used) was very delightful. Now fish heads are usually prepared with curry, but if you have good quality and fresh fish heads, steaming would be a preferred method. The fish was soft, and as it was almost 1/3 of the fish instead of just the head, there were plenty to chew from. The clay pot pork belly with salted fish too was a very commendable dish. 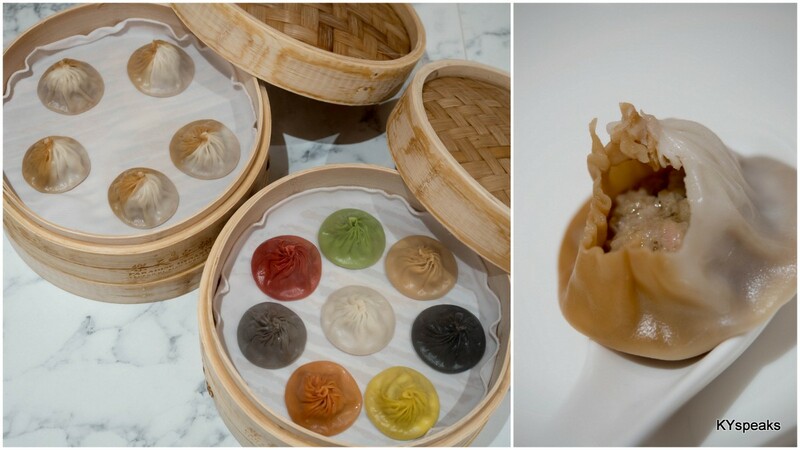 Saturated with the goodness of 3-layered pork that is skin/fat/meat and salted fish in dark soya sauce and dried chili. It was a good contrast to the fairer taste of the steamed fish head. As for the potato leaves with balacan, well, it was decent but nothing particularly outstanding. A good accompanying dish to counter the meat and fish. But I do feel that perhaps a steamed soup might serve us better. Total meal came to something like RM 60, very economical for what we ordered. 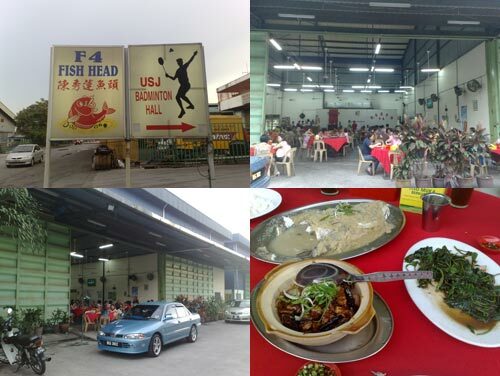 I need to go back there again to try out other types of fish head dishes they have. They’re open for lunch as well as dinner. When I was working at Leisure Commerce Square, we used to travel quite a bit for a good lunch. 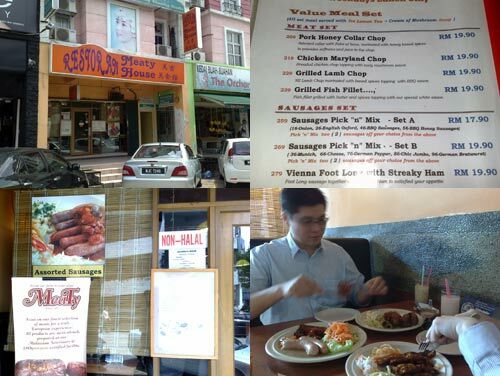 We’ve been to the siew yoke (bbq pork) place at Aman Suria, pork tripe soup at USJ, and even banana leaf rice at Raju at PJ State. 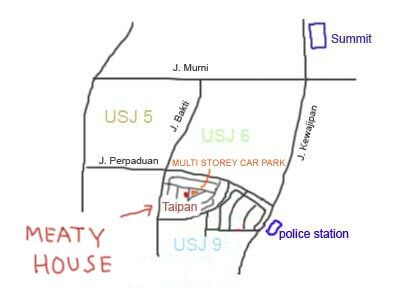 Just before I left the company, we decided to venture into the parking hell that is USJ Taipan and give Meaty House a try. Meaty house is located just a couple of shops from Starbucks, facing the multilayer parking lots that you should use lest boiling your blood away looking for a street spot (that you have to pay anyway.) The interior of the restaurant is a little dated and not very well lit either. The seats and tables were a bit old, but we were there with only one objective, and romance wasn’t it. The server was very friendly and recommended us the three dishes we ordered for the day. Pork belly, pork knuckle, and a ribs & sausages dish. We also had 3 glasses of home-brewed barley drinks to go with it. Food didn’t take long to arrive as it wasn’t busy during the weekday lunch time we were there. All three dishes were actually very good, and I particularly love the German pork knuckle, very crunchy on the outside and yet flavorful and fatty without being too oily inside. 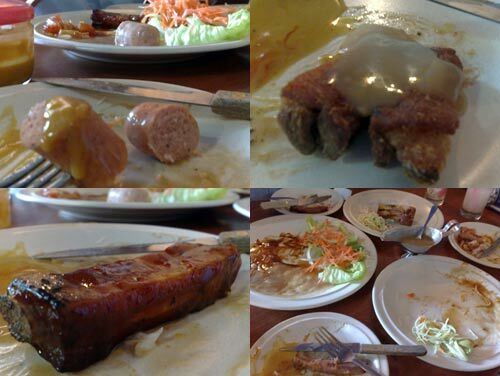 The home-made honey mustard sauce was perfect for both the sausages and the pork knuckle. Pork belly was good too, although I could probably use a slightly fattier cut (I’m one of those pork lard people). The ribs too were equally good, with the hint of char siu (roasted pork) taste to it. The side dishes of coleslaw and some unidentified vegetables though, were nothing to shout about. 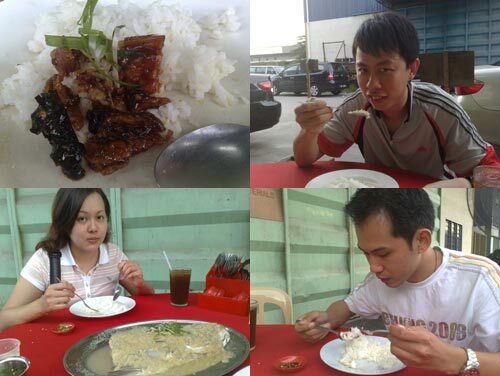 Each dishes cost less than RM 30. 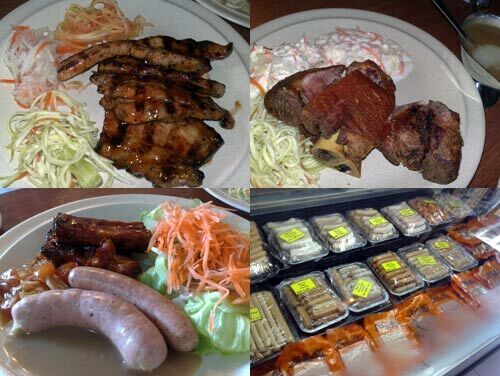 Ribs & sausages RM 26.80, pork belly RM 23.80, pork knuckle RM 29.80. Overall I would say that this place offers very good value for what you get. 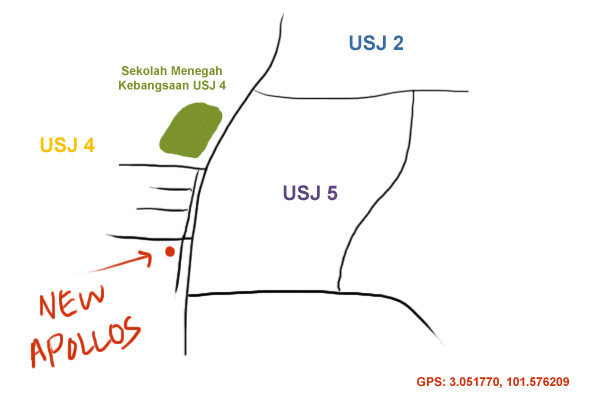 A slightly higher class place would be EURO DELI at Damansara Kim or Jarrod & Rawlins at Hartamas, and if you really want it splurge a bit, there’s always Bermuda & Onions at Cangkat Bukit Bintang, and Bruno’s at Jaya 33. If you love pork, either one of these places would be pretty satisfying.